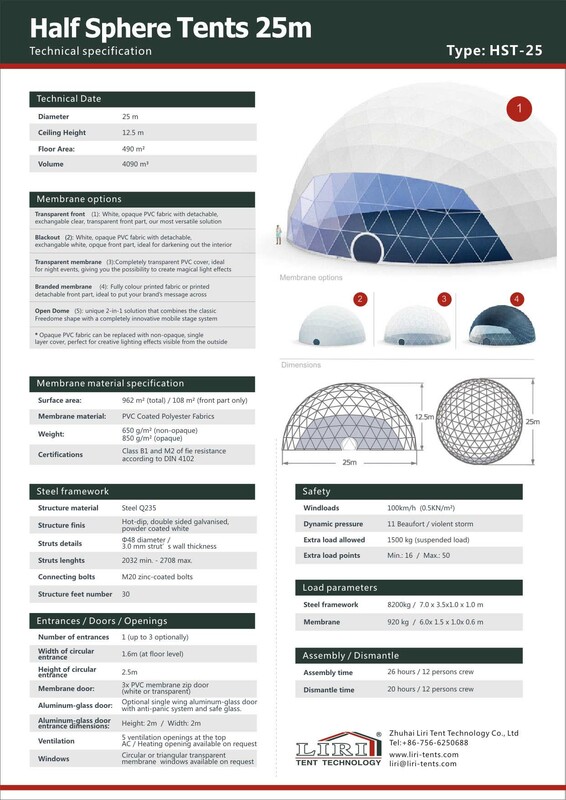 Half sphere tent is our latest designed product. 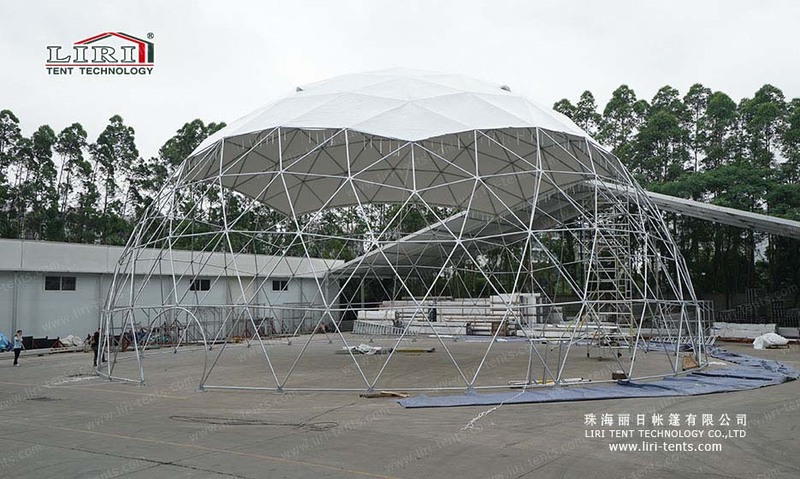 Many customers prefer this structure because of its eye-catching design. 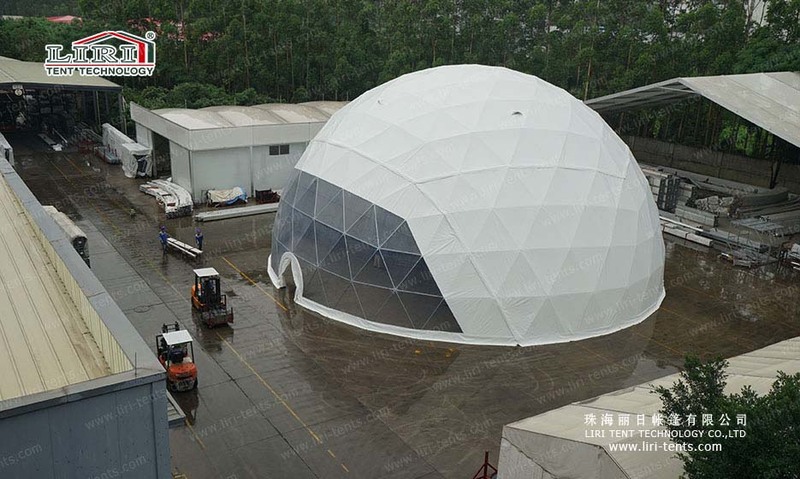 Half sphere tent can resist stronger wind load which is more durable. We use steel for the framework and PVC fabric for sidewalls. You can use mixed PVC fabric (white pvc and clear pvc) for covers, and let more natural sun light come into the tent. For high class events, you can equip glass doors, lighting and lining decoration for the tent.